Lin and his Perfect Storm Entertainment production company have optioned the remake rights to the documentary and the life story rights of the Sung Family. Kenneth Lin (House of Cards) will write the screenplay. Abacus producer Mark Mitten will be a producer on the feature, with the Abacus' director Steve James (Hoop Dreams, The Interrupters, Life Itself) serving as an executive producer. The announcement comes just before the film's US broadcast premiere on PBS Frontline, airing nationwide at 9PM CT/10PM ET on September 12. 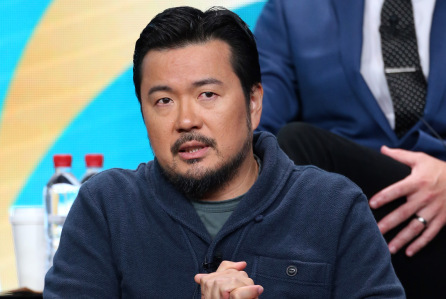 “I can’t imagine a better fit than Justin Lin for turning the Sung’s story into a feature film given how important family themes are in his work,” says Mark Mitten, producer of Abacus. Currently in theaters across the country, Abacus tells the incredible saga of the Chinese immigrant Sung family, owners of Abacus Federal Savings of Chinatown, New York. Accused of mortgage fraud by Manhattan District Attorney Cyrus R. Vance, Jr., Abacus became the only U.S. bank to face criminal charges in the wake of the 2008 financial crisis. The indictment and subsequent trial forced the Sung family to defend themselves and their bank’s legacy in the Chinatown community over the course of a five-year legal battle. Abacus originally premiered at the 2016 Toronto International Film Festival and New York Film Festival and is produced by Mark Mitten and Julie Goldman. The film is currently rated “Certified Fresh” at 91% on Rotten Tomatoes and has been praised as a “crowd-pleasing” (New York Times) legal thriller that is ”both an affirmation and an indictment of the American dream” (The Hollywood Reporter). The documentary is a Mitten Media, Motto Pictures, and Kartemquin Films production for WGBH/FRONTLINE and Independent Television Service (ITVS), in association with Blue Ice Film Fund.